A guided missile frigate of the Indian Navy suffered an accident on Monday while undocking at Mumbai Naval dockyard. The accident led to deaths of 2 sailors and injured 15. The Navy termed the incident as “unprecedented and sad”. The ship was in the docks for underwater repairs. At 2 PM when the ship was being undocked to return to water, the 3,850 ton ship tipped sideways. The Navy has ordered an inquiry into the incident to assess the damage and to find who’s responsible for the accident. It is said that the accident occurred due to a system snag. It is being speculated in the media and the naval community that the ship may not sail again as the main mast has been damaged. 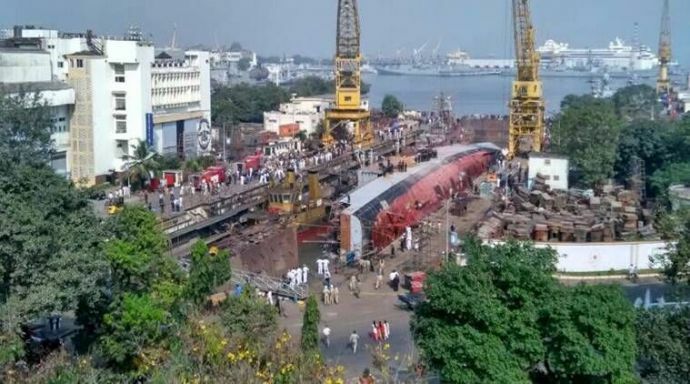 Indian Navy spokesperson Captain D. K. Sharma said, “The incident occurred at 1350 hrs during undocking evolution wherein it is suspected that the dock-block mechanism has failed”. Navy Chief Admiral Sunil Lamba arrived in Mumbai on Monday night to access the situation. 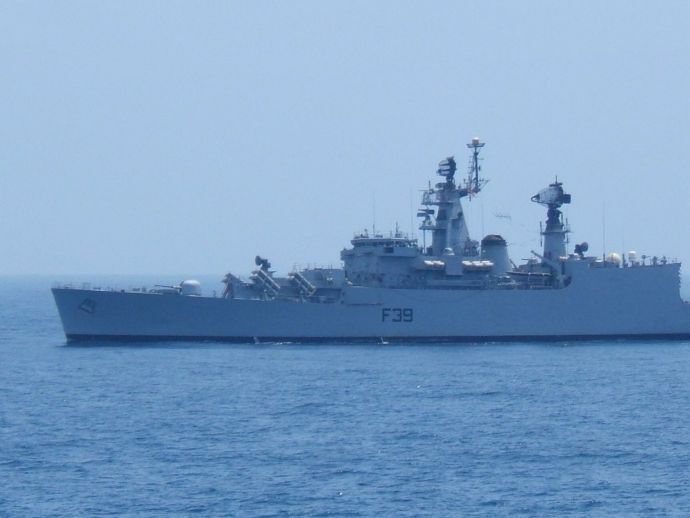 INS Betwa is a Brahmaputra Class Frigate and it was named after Betwa river. The ship has been in service for 12 years and 5 months.